Emma was originally one half of the "Emma and Pete Show" - and that is the show that made Emma a Friend of the Dirty Boxers Show. 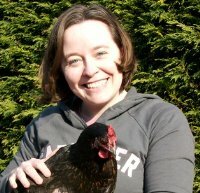 Emma Cooper is a freelance writer, photographer, blogger and podcaster. A keen gardener, Emma lives in Oxfordshire with three plastic compost bins, two wormeries and a pair of bokashi bins. There used to be chickens, too, but they have all moved on to new pastures new. The Alternative Kitchen Garden is an evolving idea of what a kitchen garden could be in the twenty first century, organic, environmentally sustainable, resilient and relocalising at least some of our food production. Its also a place not only for learning and practising growing skills, but for enjoying ourselves and having fun. This is an ideal companion for anyone getting dirt under their fingernails for the first time, as well as being full of fascinating ideas and experiments for the adventurous gardener. A self confessed cyber geek, Emma began to document the transformation of her ropey old lawn with potholes and brambles into a fertile and abundant permaculture plot via internet radio and a popular blog site. 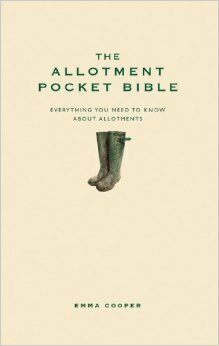 Eight years on, her postings and stories have been collated in The Alternative Kitchen Garden: An A-Z, illustrated with beautiful colour photographs and arranged into easily accessible alphabetical order, covering subjects as diverse as growing achocha (a lost Inca crop) to aiming for zero waste. 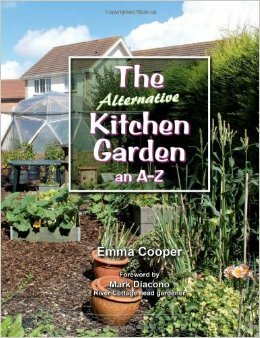 This book is informative yet friendly, you feel you could actually be sitting in the garden chatting face to face as Emma shares her knowledge and experience. A concise and valuable practical guide, and a lovely read that you can also dip in and out of.